Cannabis is another option for many people living with pain and other chronic conditions. 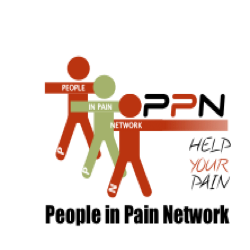 People have many questions about the benefits and the use of medical cannabis, the People in Pain Network are pleased to bring the latest information on the use of medical cannabis to all of our members and their families. The different products including drops, capsules, and topical oils. How to go about a trial of use. Interested in knowing more about Tilray click here to view a couple of short video’s. Use the button below to ask a question about the above video "Use of medical cannabis for pain management”. Please note the People in Pain Network does not recommend nor encourage you to use medical cannabis or any other medication. We recommend you talk to your healthcare provider before using this or any product. After watching the vide on the Use of Medical Cannabis for Pain Management you may have question/s about the product or the use of. Please click on the button below to submit your question and will make every effort to provide you with an answer.